Kirsty Maguire is a founding member of The Passiv Collective along with Grigor Mitchell, another passivhaus architect. We are delighted to be winners of the BRE Passivhaus Competition for the Innovation Park at Ravenscraig as well as awarded their ‘Commendation for Innovation’ for development of the Passivhaus standard, eco design and specification and integration of process and education. The aesthetic can be varied with different materials and house sizes to suit whilst sticking to the template. 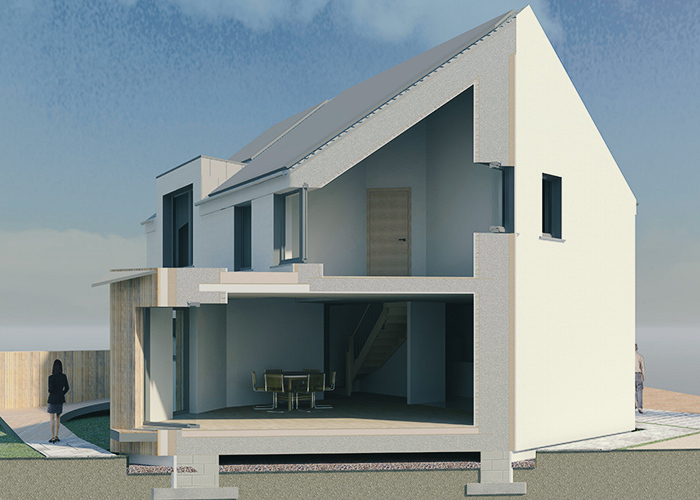 The design responds to both European level best practice and research as well as the specific context of the Scottish housing market and planning context, addressing user concerns including very high levels of fuel poverty by reducing fossil fuel dependence and improving energy security and occupant well being. It focuses on replicability and flexibility. 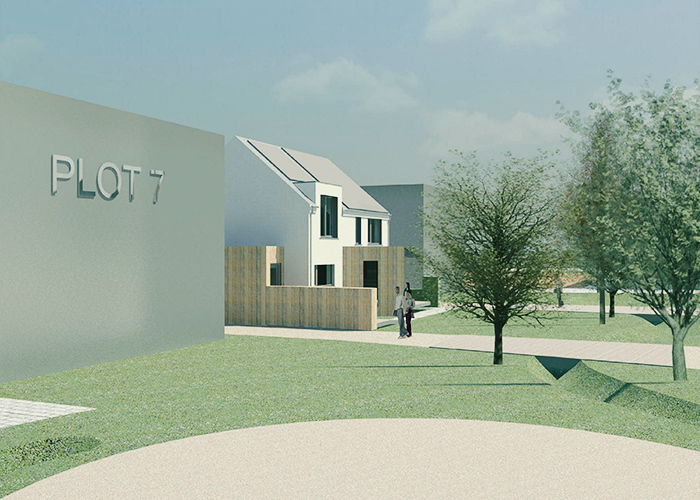 Many Scottish settlements are low density suburbs, villages or rural hamlets or individual properties and this design is intended to be used in a range of areas. This house type is designed to be build on a range of sites. If you would like to develop this house yourself on your own site, please just get in touch. Images courtesy of The Passiv Collective.